The Lifeline AED is a portable and robust defibrillator with the option of a 5 or 7 year battery. The Lifeline AED is one of the simplest defibrillators to use and features full audio prompts and clear instructions for the user to follow. 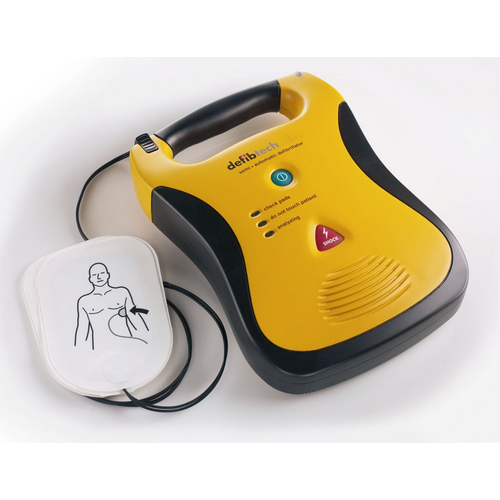 The Lifeline AED is availabe in a Semi-automatic or Fully-automatic model for the same cost and is backed with a 8 year warranty. The Lifeline AED is a Biphasic Defibrillator that has a daily auto self-test facility. It features rubberised surfaces and has been Shock/Drop tested. It has a dust protection rating of IP5X and a water protection rating of IPX4. Can you afford to not have the life saving capabilities of the Lifeline Automated External Defibrillator? Contact our office now for full unit specifications and an up to date cost.